Time for a city based Can you date? 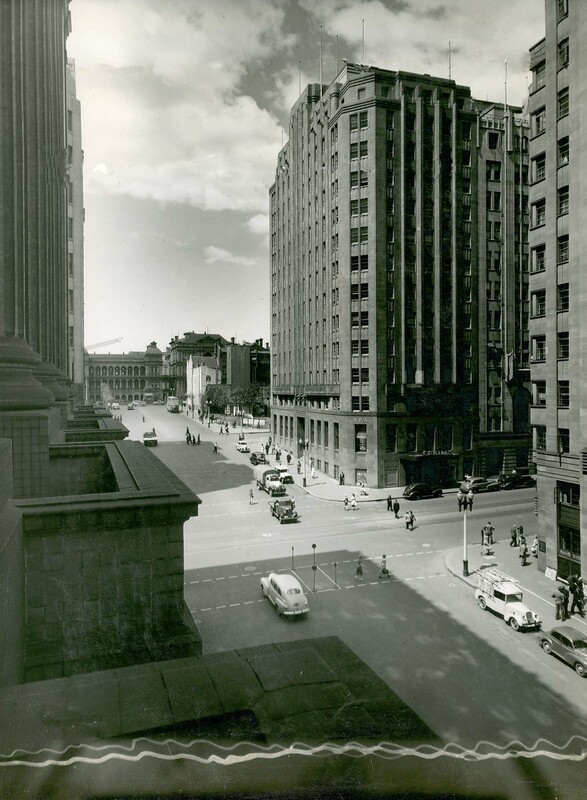 Here’s a shot of Martin Place in Sydney’s CBD. Over the Australia Day 2014 long weekend, I was contacted by Dr Judy Galvin, who completed her PhD back in 1983 on the Lettesi in Newcastle. The Lettesi were a community of Italian immigrants from the town of Lettopalena, located in the Abruzzi region (Chieti province) of Italy. “The Lettesi in Newcastle are the extended family members of 145 households, where either one or both partners were born in Lettopalena, Italy. Most of this core group of first generation immigrants arrived in Australia over the seven-year period from 1950 to 1956 and after working in the cane fields, settled mainly in Hamilton, a working-class suburb, close to the heavy industries and port facilities of Newcastle. 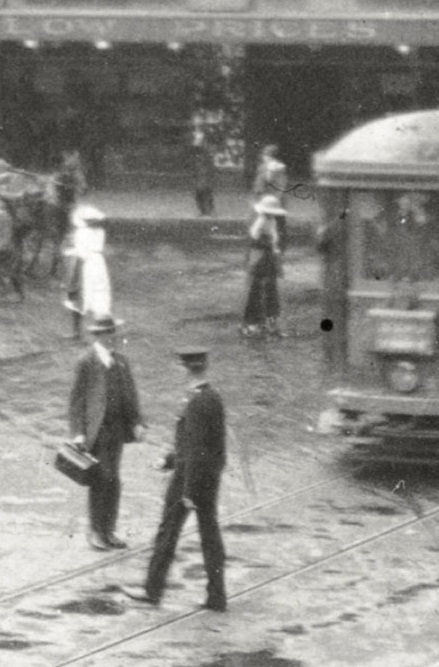 The community evolved through a chain migration process that began with the arrival, in 1925, of Giacomo De Vitis. In 1927, Giacomo called his brother-in-law, Arcangelo Rossetti. In 1938 Arcangelo’s sons, Antonio and Giacomo, bought a cane farm in Proserpine where the brothers later purchased farms of their own. These farms became the focus for a major post-war exodus, sponsored mainly by Antonio, with assistance from Giacomo, and other Italian farmers. News of the Carrington volumes hits the Northern Hemisphere! 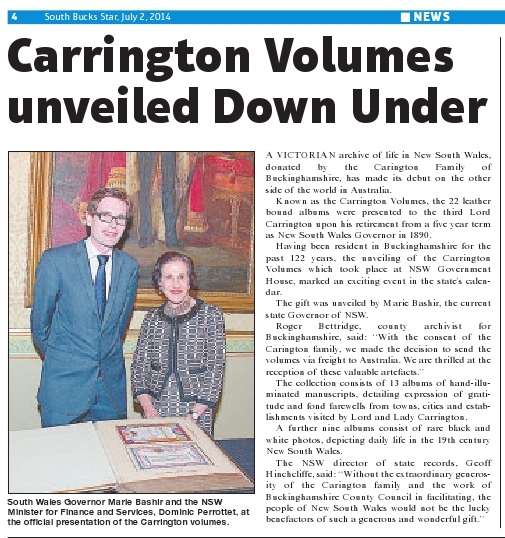 News of the presentation of the Carrington volumes to New South Wales has travelled to the Northern Hemisphere and the home county of the Carington family in Buckinghamshire. A fascinating Victorian archive of life in New South Wales (NSW), donated by the Carington Family of Buckinghamshire, has made its debut in Australia. The current state Governor, Marie Bashir, was joined by other representatives of the NSW state government to unveil the gift. Known as the Carrington Volumes, the 22 exquisite leather bound albums were presented to the third Lord Carrington upon his retirement from a five-year term as NSW Governor in 1890. 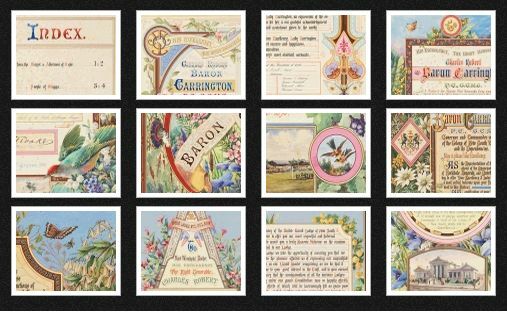 The captivating Victorian collection consists of 13 albums of hand-illuminated manuscripts, detailing expressions of gratitude and fond farewells from towns, cities and establishments visited by Lord and Lady Carrington. The week is celebrated not just in Indigenous communities but also in government agencies, schools, local councils and community organisations. To see what celebrations are taking place near you, check out the 2014 local NAIDOC events calendar or find some ideas on how to celebrate NAIDOC Week. Here are a few archive/history themed links for NAIDOC week. 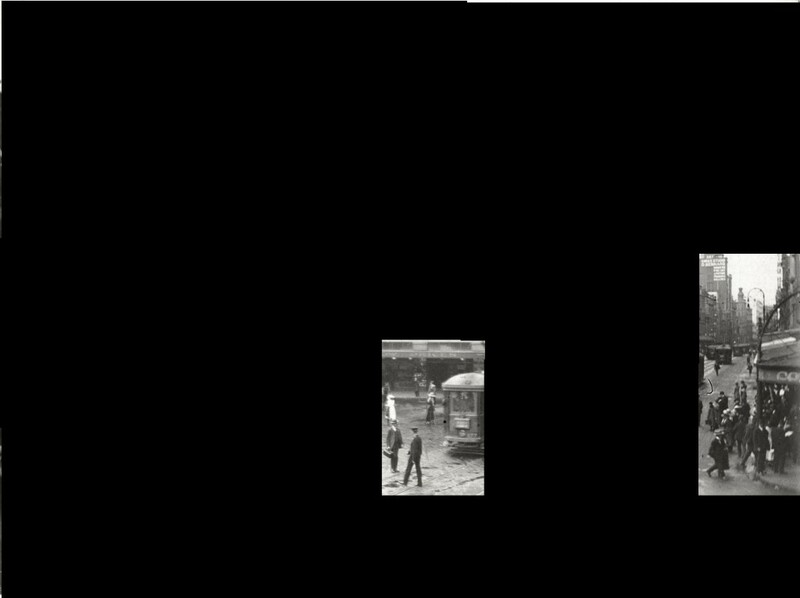 In commemoration of the centenary of the First World War the History Council, NSW and Cosmopolitan Civil Societies Research Centre, UTS, invite you to a symposium about the contribution of ‘Black Diggers’ to the war effort and how their service changed social and economic relations on the home front. Records show that more than 800 Aboriginal men enlisted, eager to fight on behalf of their country: they served in this conflict on equal terms, successfully breaking down cultural barriers by forming friendships with those they fought side by side. The participation of Aboriginal Servicemen in the First World War held immediate implications for families and communities on the home front. As we approach the centenary of the First World War the Indigenous Champion Project is proudly honoring the service and sacrifice of Aboriginal and Torres Strait Islander Servicemen and women by sharing with you their wartime stories. This site brings together all our resources that can help you identify, access and use State archives that relate to Indigenous people. Now for a more urban based What’s the bigger picture? 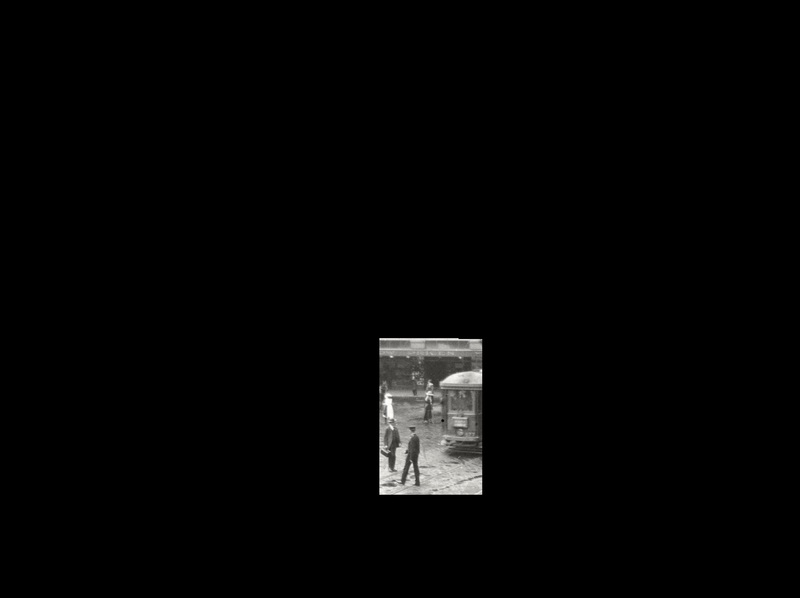 Any clues as to where this photo might have been taken? 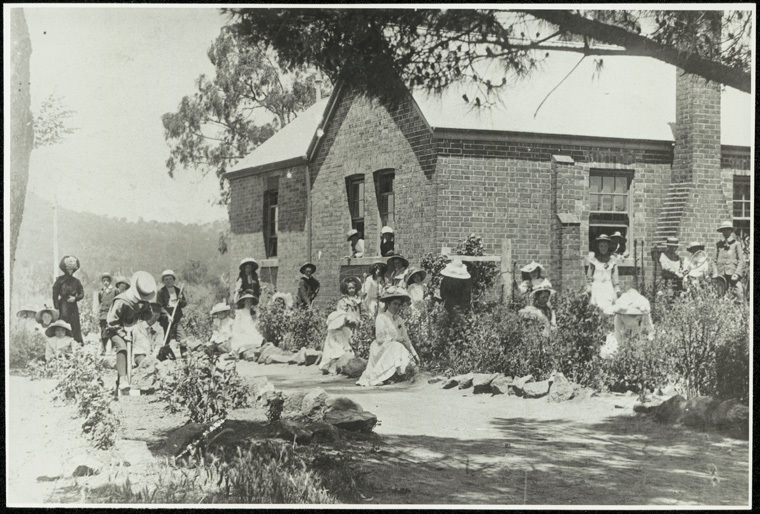 A recurrent theme in the Schools Photographic collection, NRS 15051, are photos of school gardens. Students are depicted toiling in the soil or standing proudly next to a garden in full bloom. 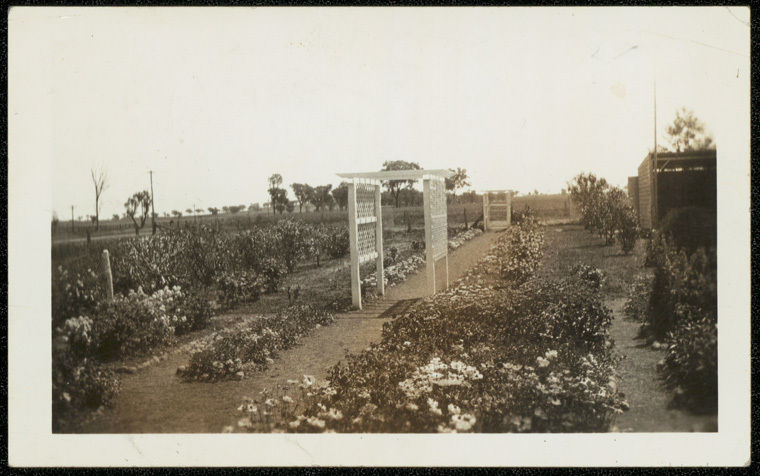 A bit of digging on Trove reveals the school garden scheme was not only a popular pastime that was part of the learning experience, it was also a highly competitive pursuit with school garden competitions going on throughout the state! In New South Wales the schools have an Inspectorate Competitive System, and all schools in an Inspectors zone compete one against the other, with severe handicap conditions so that actually this year the winner of the Treloar Shield was Byamee School, with fewer than 30 pupils, so that under the system in vogue, the small schools have as much chance as the bigger ones in competition. 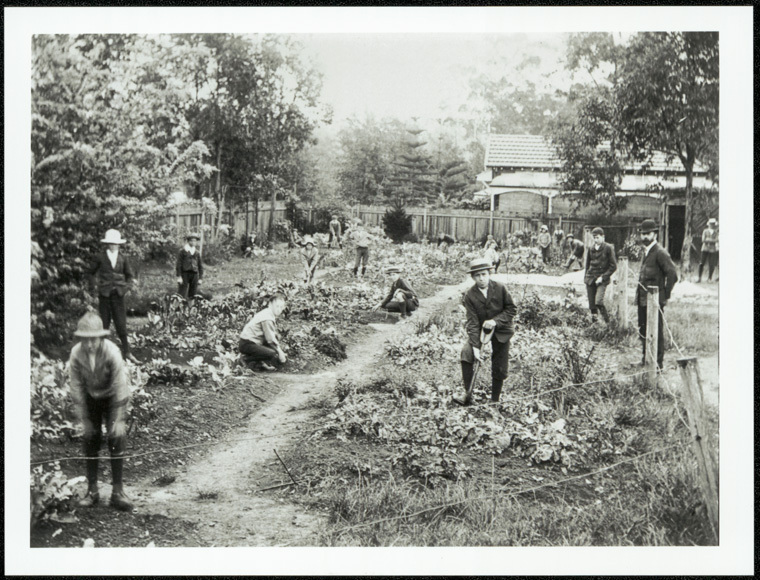 Caption: Byamee Public School – Byamee School Garden, winner of 1934 competition – Treloar Shield. What did the judges have to say about the winning garden at Byamee? Fifty-one schools took part in the Tamworth inspectorate schools’ garden competition Results: Byamee 281 points, Manilla 274, Nundle 243, Duri 230, Westdale 233, Kootingal 224, Piallamore 217, Scone 214, Quipolly Creek 202, Brown’s Springs 200, Walhallow 115, At- tunga 188, Barraba 177, Warrah Creek 174, West Tamworth 129. The Byamee school, present holder of the Treloar Shield, retains the trophy. The Manila school secured the highest total marks in the flower garden sec- tion, and retains the Wilson Cup. See more photographs from NRS 15051 here. Could the Tour de France be won on one of these bicycles? Here are some of the online sites we’ve been exploring this month. 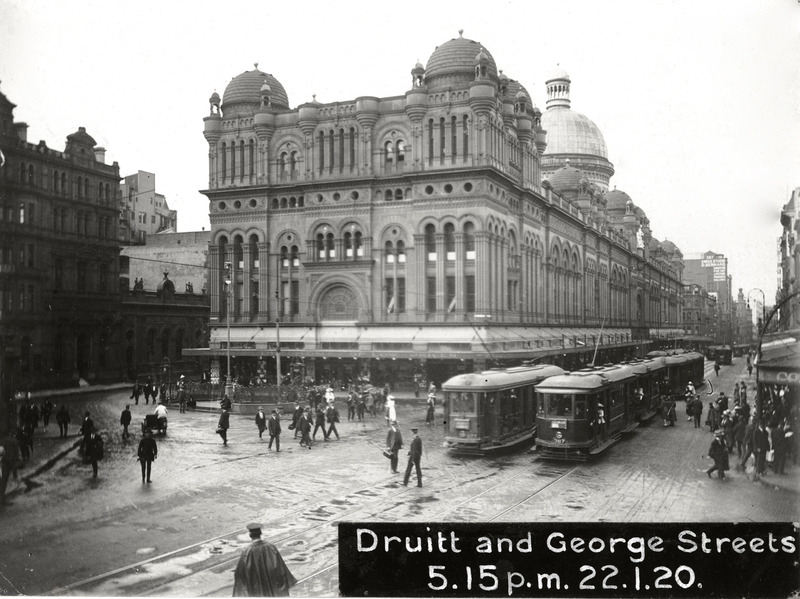 What are the most commonly accessed digitised items from heritage organisations? Even asking the question leads to further understanding about the current digitisation landscape………. ……These results, from very different institutions, invite discussions on shallow versus deep engagement with digital collections. Some examples of commonly accessed material are what we would think of as part of the Canon of Digitised Content: Shakespeare, Newton, Medieval Manuscripts. Some examples of commonly accessed material here can be taken as little more than clickbait – LOL! History! – or free reference material – its a free Malaysian Dictionary! Bonus! – but is getting people through the virtual door to digitised collections in this way, and through these items, such a bad thing? Come for the Dog with the pipe in its mouth! stay for the genealogy, then the discussions on palaeographic method! Check out the answers and resulting discussion! 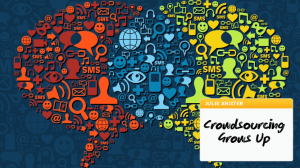 It’s been almost ten years since James Surowiecki published The Wisdom of Crowds, which launched the notion that there was wisdom, and indeed robust solutions to be harvested from “crowds” that far exceeded comparable individual efforts. Each person should have private information even if it’s just an eccentric interpretation of the known facts. People’s opinions aren’t determined by the opinions of those around them. 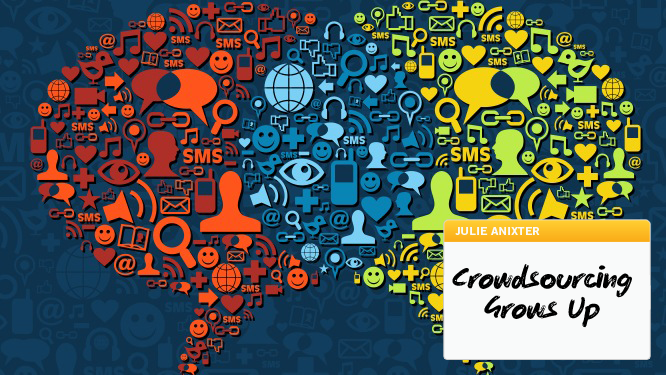 In parallel, aggregation platforms – often called Idea Management software were coming into being and in the decade since have matured, grown up, and become standard operating procedure for businesses solving problems of all kinds via crowdsourcing. Scholars exploring digital media and technology have gained much from emphasizing what they have in common, particularly in a context when such explorations enjoyed at best tenuous recognition within disciplinary settings. However, in recent years the consistent presence of digital sessions at the annual conferences of the AHA and OAH, as well as of smaller organizations such as the Southern Historical Association, the Urban History Association and the International Congress on Medieval Studies, testify to a growing recognition that digital media and technology are part of scholarly practice. But that recognition does not mean that most historians have explored what can be done with digital tools, are equipped to do so, or are even convinced that those tools have anything to offer their own research and teaching. I have a special spot in my heart for oddball items in the archives. When a colleague approaches me with a question such as: “Nora, we have artists’ matchbooks! Should we remove them? Will they spontaneously ignite? Will someone try to light them and set fire to the archives accidentally, or worse, on purpose? !,” I delight in putting my creative problem-solving mind to work. Also, I get to learn new words, such as phillumeny (the hobby of collecting matchbox labels, printed matchbox outers, matchboxes, matchbook covers, matchbooks, and other forms of match packaging). One way and another Governors have been a popular topic of conversation in NSW lately. Last week it was announced that General David Hurley will be the next Governor of NSW, while over the weekend retiring Governor Marie Bashir was appointed a Dame of the Order of Australia in the Queen’s Birthday Honours List. Here at State Records NSW we’ve been focussed on a Governor from a different era, Charles 3rd Lord Carrington, former Governor of New South Wales from 1885 to 1890. 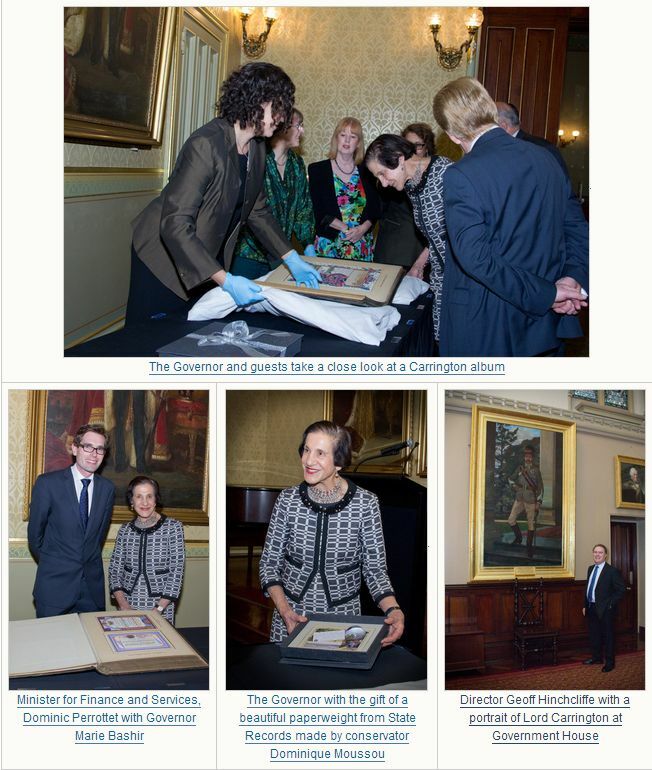 On 23 May 2014, Minister for Finance and Services, Dominic Perrottet, joined Governor of New South Wales, Her Excellency The Honourable Marie Bashir, at Government House to receive a gift of historic volumes from the Carington family. You may also have seen the volumes featured on the NSW version of the 730 Report on the ABC last Friday night. Lord Carrington convinced Sir Henry Parkes in 1887 not to change the name of the colony of New South Wales to Australia. Lord Carrington laid the foundation of Centennial Park for the centenary in 1888, declaring ‘the property for the people for ever’. NSW postal authorities issued two commemorative postage stamps in 1888, probably the first of their kind anywhere in the British Empire. One depicted a map of Australia complete and the other portrayed the first Governor of 1788, Arthur Phillip and the current Governor of 1888, Carrington. A daughter was born to the Carrington’s in 1889 and they gave her ‘Sydney’ as one of her names. Lord Carrington bought and subdivided the area of land which was later to become known as the suburb of Castlecrag on Sydney’s lower north shore. The 22 leather bound volumes contain hand painted dedications, photos and memorabilia from regional towns visited by the Governor in the 1880’s. 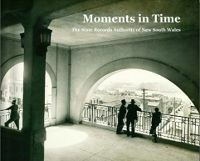 It provides a snapshot of pre-federation NSW at a time when the colony was on the cusp of great change. 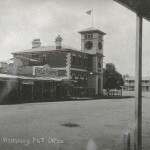 A sample of the images have been uploaded into an online gallery. *These facts are sourced from the following publications: Clune, David and Ken Turner (eds. ), The Governors of New South Wales 1788-2010, The Federation Press, 2009 Rollo Gillespie, Viceregal Quarters: An Account of the Various Residences of the Governors of New South Wales from 1788 until the Present Day, Australia, Angus and Robinson Publishers, 1975.